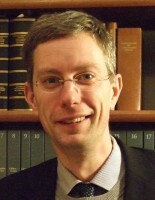 From 2008 until 2017 Jens-Olaf Lindermann served as an assistant professor at the Chair of Civil and Roman Law at the Freie Universität Berlin. In the interdisciplinary edition project (B-I-1) Surveying and Limitation , in collaboration with Eberhard Knobloch (BBAW) and Cosima Möller (FU Berlin) he worked on the first German translation of the corpus agrimensorum Romanorum, a collection of Roman land surveying texts from the 1st to 6th century, and to subject the edition’s underlying Latin text to critical analysis and philological commentary. And the rough places plain. Römische Feldmesser bei der Arbeit.